There’s a reason Denver continually tops the countries “best of” lists and why everyone you know is moving to Denver in droves. 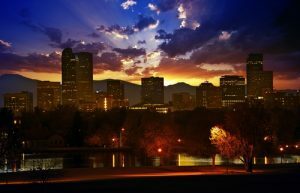 The mile-high city has all of the allure of living in a big city (nightlife, shopping, dining!) but the convenience of being a short drive from the great outdoors. The city has breweries, baseball stadiums, museums, great schools, parks, music, and history, the list goes on. Here are 5 reasons why you should make Denver your home. 1. You’ll never run out of things to do in Denver. You like breweries? Denver’s got ‘em. Historical downtown with Michelin-rated restaurants? Welcome to Larimer Square. You want zoos, aquariums, botanical gardens, baseball stadiums, and Universities? Yeah, Denver has that too. Those longing for a dose of nostalgia might want to check out Union Station, which is a working transit station but fans of history and architecture like to stop in for a drink and take in the ambience. Curious minds will love the variety of museums in the city like the Denver Art Museum, the Museum of Nature and Science, and Titanic survivor Molly Brown’s house. Catch a Colorado Rockies baseball game at Coors Field Plus or become a Broncos fan and enjoy games at the Mile High Stadium. Denver is also home to a thriving independent art and music scene and community of local artists. 2. It’s a progressive forward-thinking city. 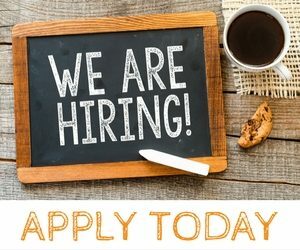 Denver’s unemployment rate is significantly lower than the national average. The Human Rights Campaign considers it a top-rated city in terms of inclusion and support of LGBTQ+ individuals. The state of Colorado became the first in the U.S. to legalize recreational marijuana. Denver is also the third-most-popular city for millennials to move to and with so many young migrants moving to the city, these millennials are bringing their tech-savvy, modern-day know-how, ensuring the city continues with its forward momentum for years to come. 3. The Denver area has the best that nature has to offer. Because the great outdoors is just a short drive from the city center, you don’t need a gym membership when you live in Denver. Red Rocks Park has many scenic trails that are beautiful to explore. You can also take a short drive and hike in the Rockies, for example, many Denverites love hiking to the 60-foot waterfall at Booth Creek Falls near Vail. Chaos Canyon Cascades in Rocky Mountain National Park has a 4-mile hike along the creek that feels like a scene from a movie. If hiking isn’t your thing, take a drive up the Mount Evans Scenic Byway, which is a beautiful two-lane highway with gorgeous views and various look-out points. For weekend trips and vacations, you can jot over to Aspen or Vail to snowboard, ski, or kick back at one of the many luxury ski resorts in the area. 4. The enviable weather makes for perfect summer and winters. 5. The variety of school options. The heart of Denver is a bustling metropolitan city surrounded by quiet suburbs, making it a perfect place to raise a family. There are 637 schools in the Denver area, ranging from private schools to public district schools to charter schools and religious schools. If you are moving to Denver to start your family, early childcare is an important factor to consider before moving. 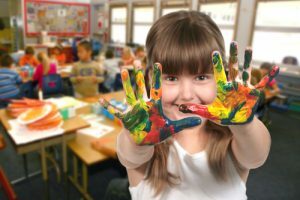 Denver Public Schools offer preschool programs to three and four-year-olds, but if you need childcare options for your infants and toddlers, there are many private pre-schools in the area who provide childcare, schooling, before and after school care for children as young as six-weeks-old. 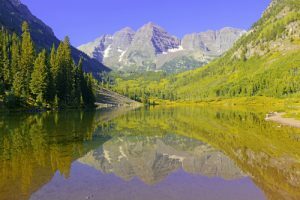 Niche.com gave Denver an overall A rating, citing the great weather, availability of jobs, plethora of outdoor activities, cultural diversity, and quality of life. Many young professionals are choosing to move to Denver because its bustling metropolitan hub provides a variety of experiences, but the affordable and safe neighboring suburbs are the perfect place to raise a family. Few U.S. cities can boast pristine landscapes, historical buildings, and a vibrant nightlife all in the same radius.